We loved our stay in Dillon beach. 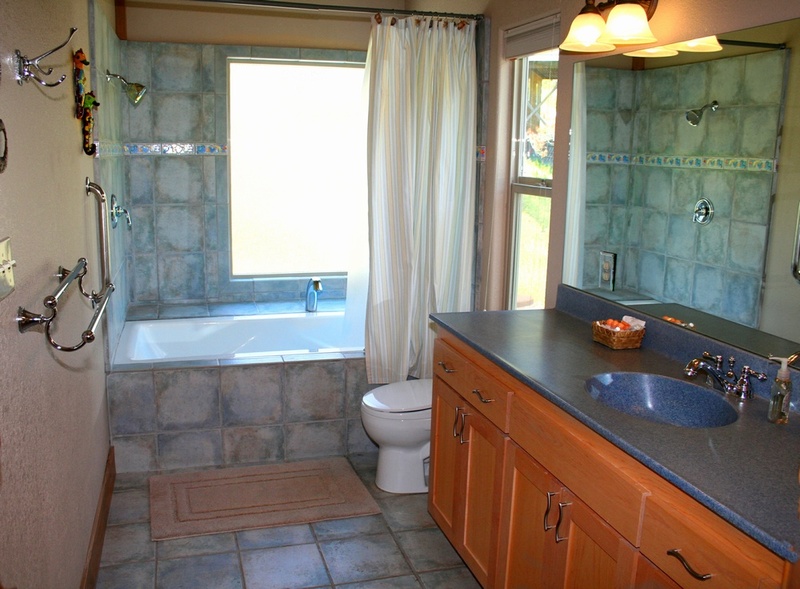 The Selkie Seas was a clean and beautiful 3 bedroom home. The rental staff was great in letting us stay longer. There were deer every day and evening. I haven't seen this many deer in the last 15 years all together. The kitchen was very well stocked. There are many great places to eat. We're definitely going back for a week next year. The view is spectacular! It was hard to leave that view. 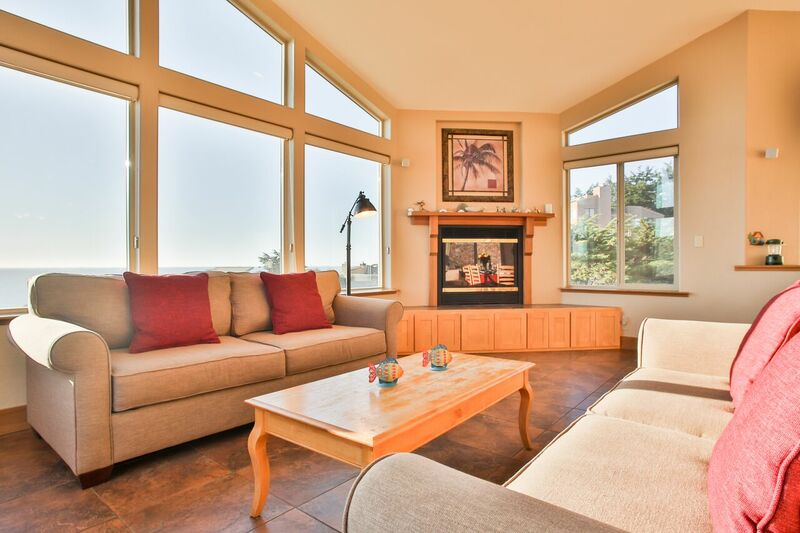 Selkie Seas is a great beach house! Nice open floor plan! Plenty of space for everyone. BBQing on the deck was fabulous! Would definitely rent this house again! 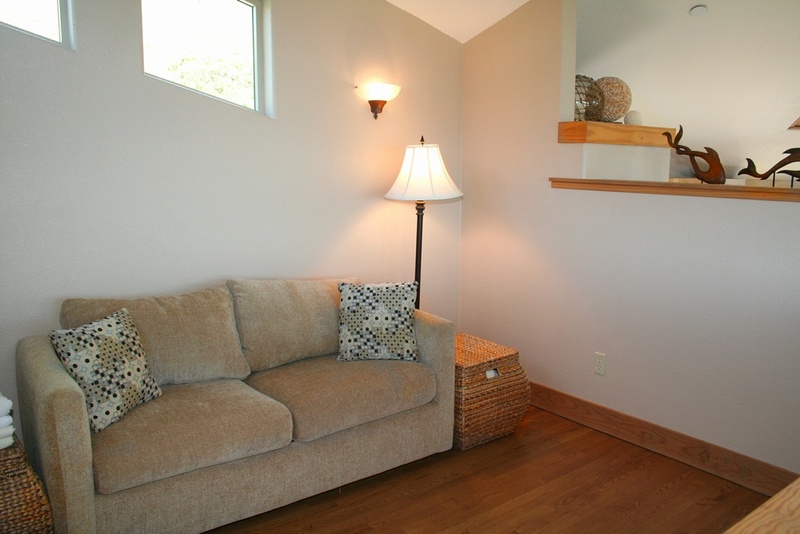 The rental property was a beautiful location & very clean. What I was a little disappointed in was the TV and amount of furniture. Although I know that is not what you do when you rent a beach house. The TV was tiny and very old.. Not a tv in each room like most places we stay at. Also if house accommodates 10 people, couches that seat that would be better idea we had 6 adults and 2 children and the two couches fit only 3 each so we would have to put two kitchen wood chairs to sit in.. A large sectional seems like a better idea. Honestly the place was gorgeous just a few tweaks and it would have been perfect. Manager response on 2018-10-17 - Response from Dillon Beach Property Management, Inc. Smooth sailing on the Selkie Seas! What a wonderful property! 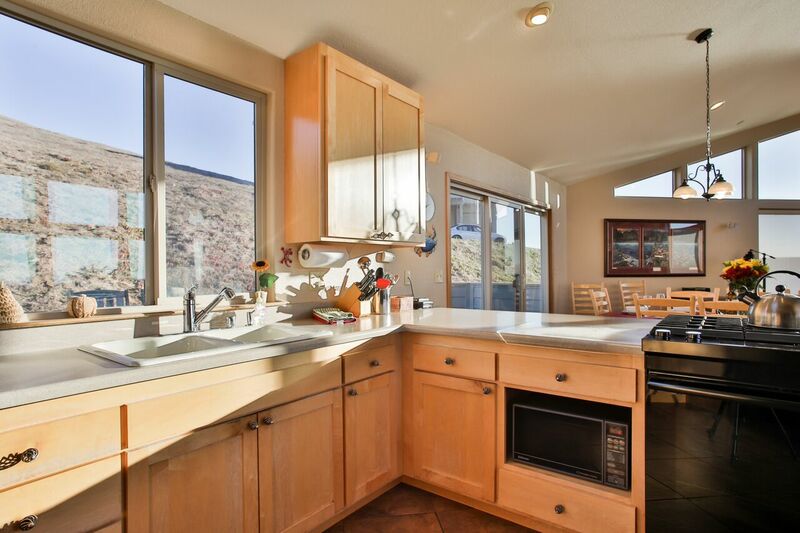 Stunning views, well-maintained home with plenty of space for everyone. Everything worked properly, and all items supplied by the property manager were in plenty. 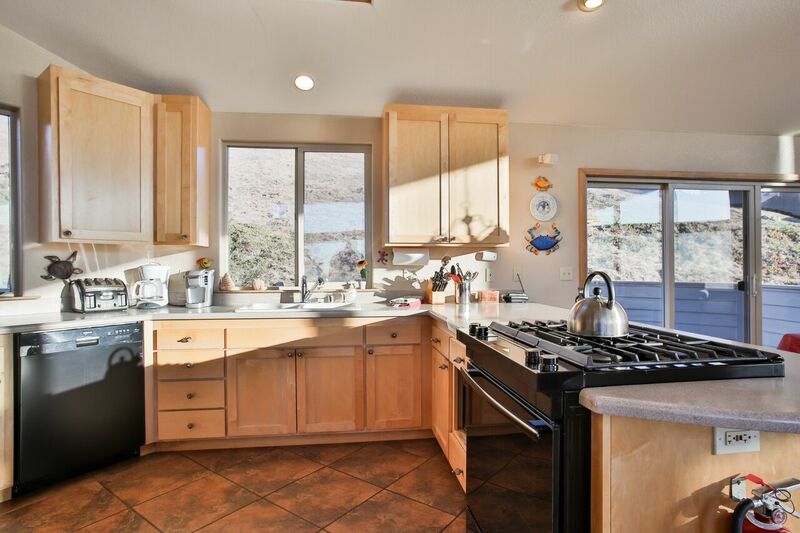 Manager response on 2018-10-23 - Response from Dillon Beach Property Management, Inc.
Beautiful house, nice beach you can walk to, deer everywhere. If you don't like stairs, look elesewhere. Also, no WIFI. Manager response on 2017-08-18 - Response from Dillon Beach Property Management, Inc.
Nice home, nice location, well equipped. Beware of no service for ATT customers, but Verizon does have service. Manager response on 2018-01-05 - Response from Dillon Beach Property Management, Inc. 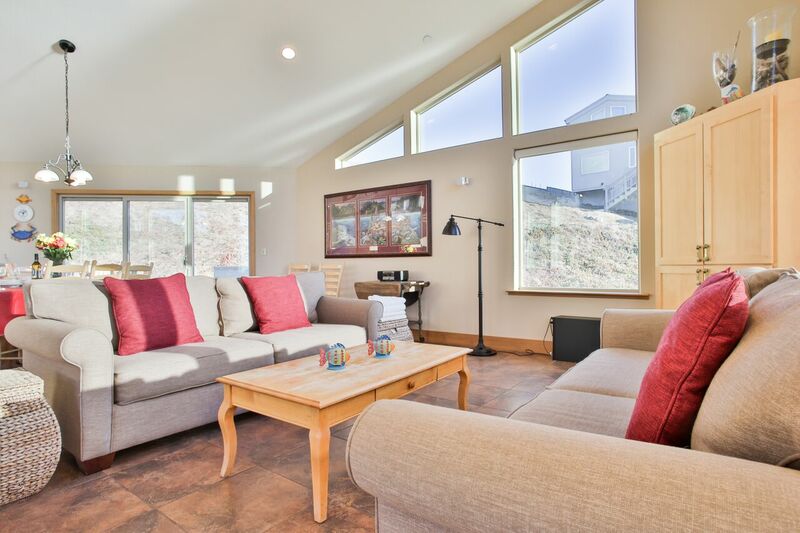 Manager response on 2018-06-29 - Response from Dillon Beach Property Management, Inc.
Selkie Seas was the best vacation rental I have ever stayed at Dillon Beach! I will definitely stay there again! 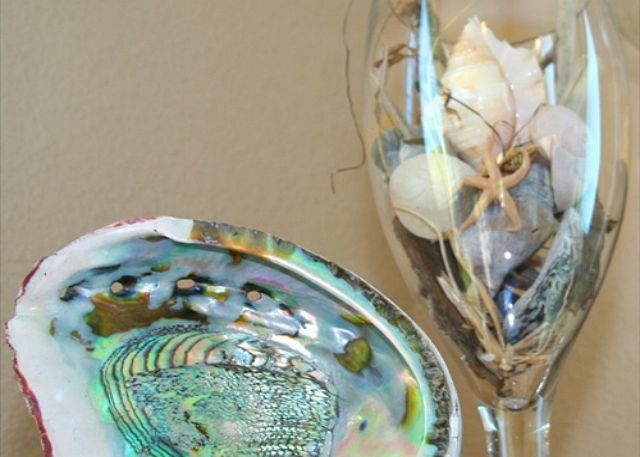 Manager response on 2014-11-18 - Response from Dillon Beach Property Management, Inc.
We enjoyed our holiday at Selkie Seas! 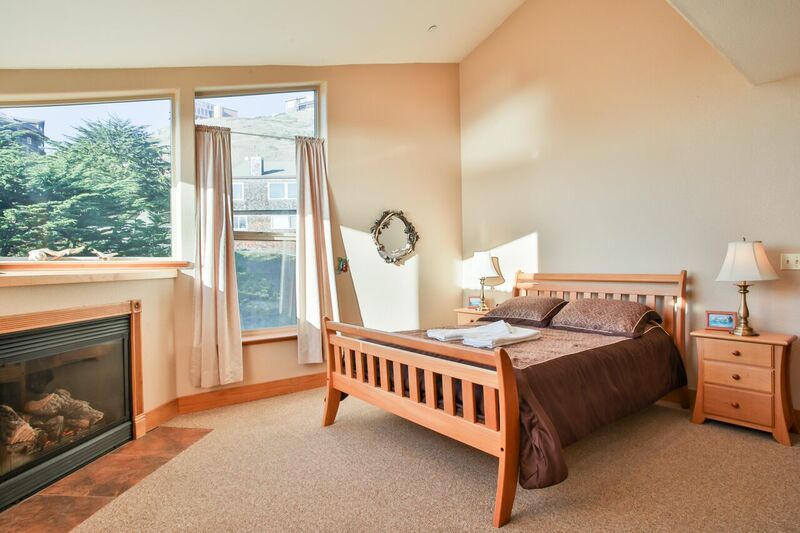 The house is spacious with a lot of natural light and the location is ideal for walking to the beach. We were really disappointed by the queen bed mattress in the lower level guest room. It was extremely uncomfortable and had loud 'crunchy' springs. My husband and I tossed and turned all night. Ended up sleeping on the super comfy couches the rest of the trip. Aside from that, the house is great! 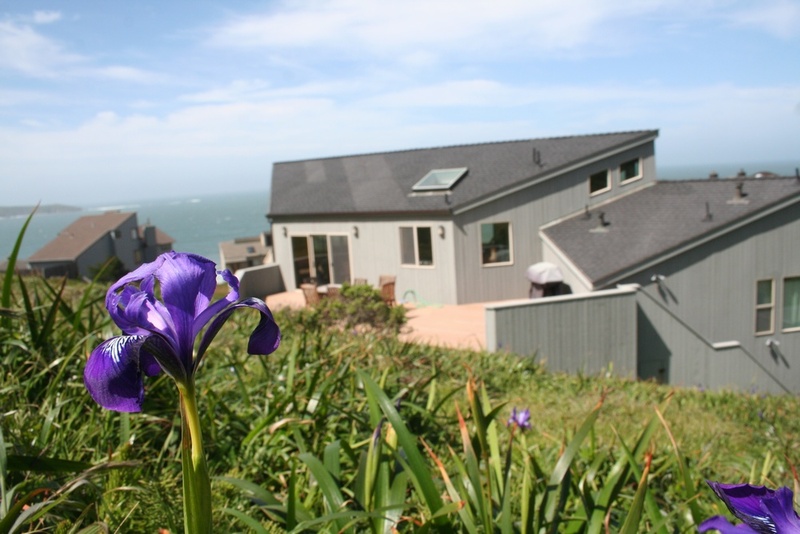 Manager response on 2015-01-03 - Response from Dillon Beach Property Management, Inc.
We thought the house was beautiful, excellent view, and although fairly populated street fairly secluded with hill behind, trees and most houses far uphill or below us. Didn't get our usual excellent January weather this time. One preexisting multiple varying aged Sheetrock patch job on stairs to loft needs attention - we put a piece of cardboard in front to protect from further damage. Otherwise, the fireplaces were beautiful and cozy. 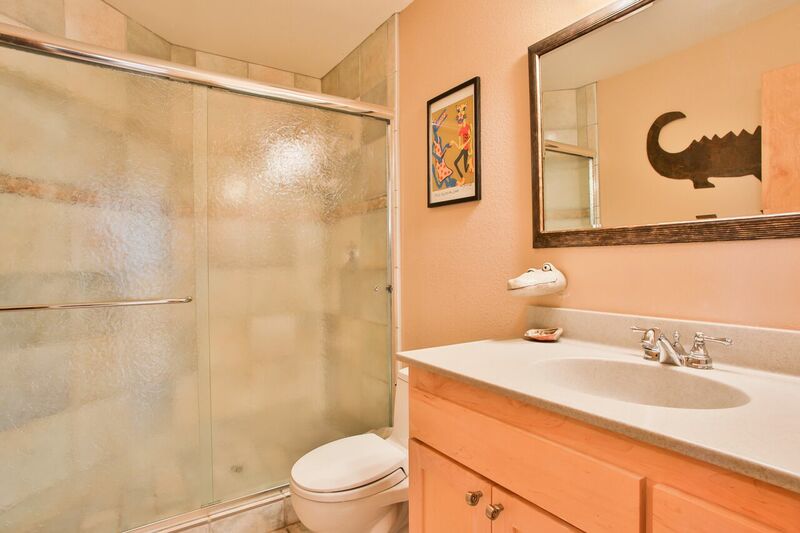 Spa tub spacious in master bath, all in all a lovely time. Manager response on 2015-01-28 - Response from Dillon Beach Property Management, Inc. Thank you for your feedback! We will get on that sheet rock immediately. We used this house as extra sleeping for a women's retreat weekend. 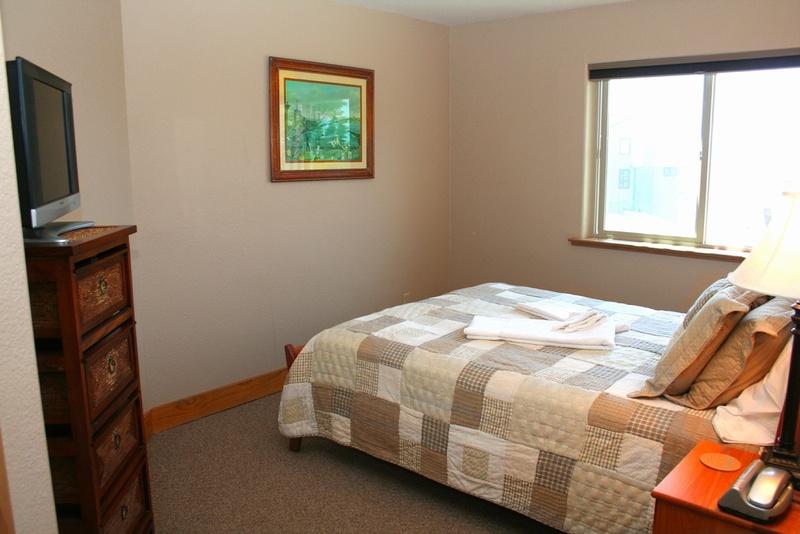 It was perfectly clean, had all the amenities, and was very comfortable. The deer come down almost to the patio every evening, and the view of the ocean is spectacular. 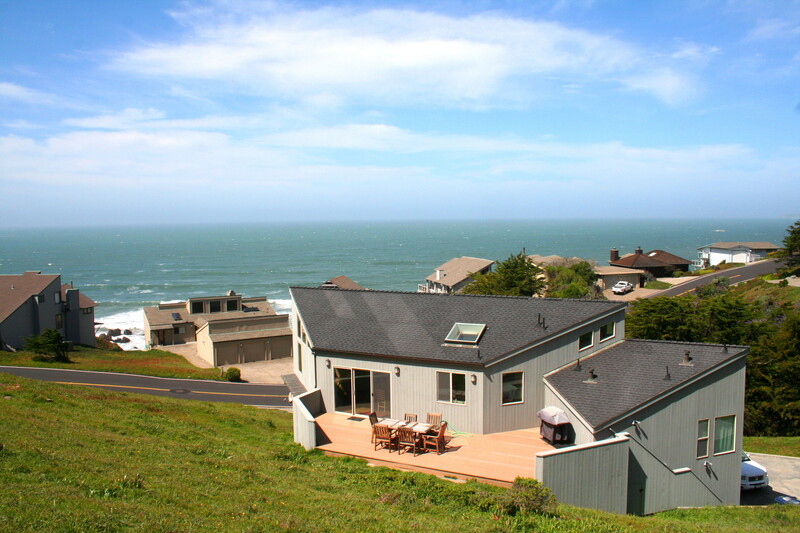 Manager response on 2015-04-17 - Response from Dillon Beach Property Management, Inc.
Hello, Just wanted to give a very positive review for the Selkie Seas Beach House at Dillon Beach, CA. We only stay for a few days over the weekend but made the most of it. The beach house was beautiful and was very accommodating for our family of 8. The house was very well stocked with necessities and very clean. The beach is near by and the Dillon Beach Café was a nice place to eat. We plan to return next year and spend at least a few more days. 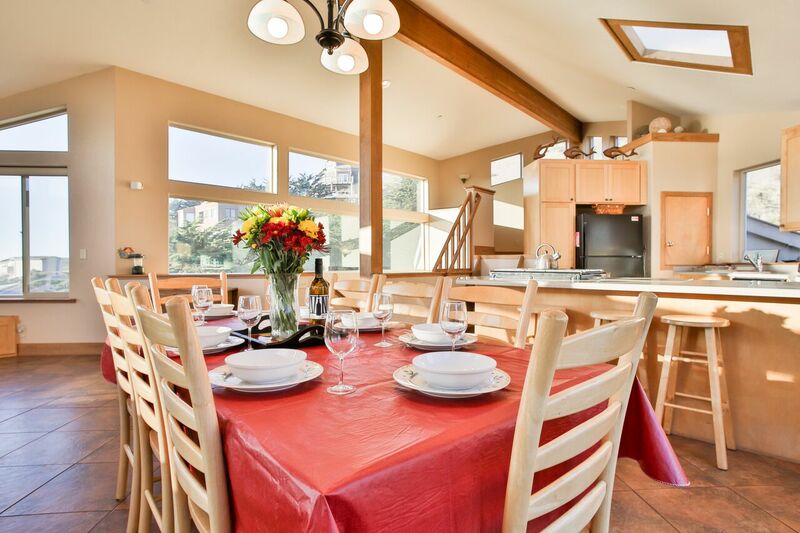 Hats off to the owners of Selkie Seas for providing a beautiful place to stay. Manager response on 2015-06-30 - Response from Dillon Beach Property Management, Inc. 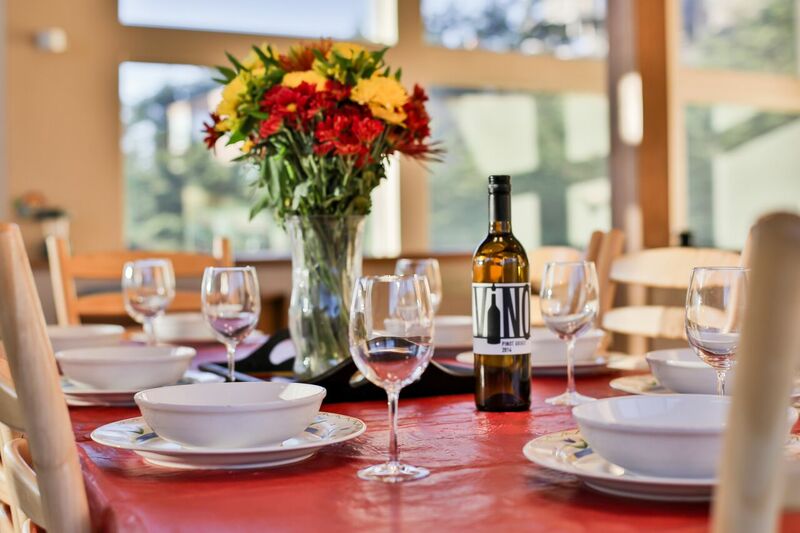 Manager response on 2016-01-05 - Response from Dillon Beach Property Management, Inc.
We had a great time, weather was beautiful and this was mid February. The house was open and has wonderful views. The house was warm and had soft jazz playing when we arrived, it set the tone of the our stay. We'll be back! Manager response on 2016-03-09 - Response from Dillon Beach Property Management, Inc. Wonderful relaxing time at the rental. Rooms were comfortable. Enjoyed the view. Great having large family table so all eight of us were comfortable. Manager response on 2016-07-23 - Response from Dillon Beach Property Management, Inc.
My family and i had an amazing time at rhis property. House was great had everything we could need and then some. 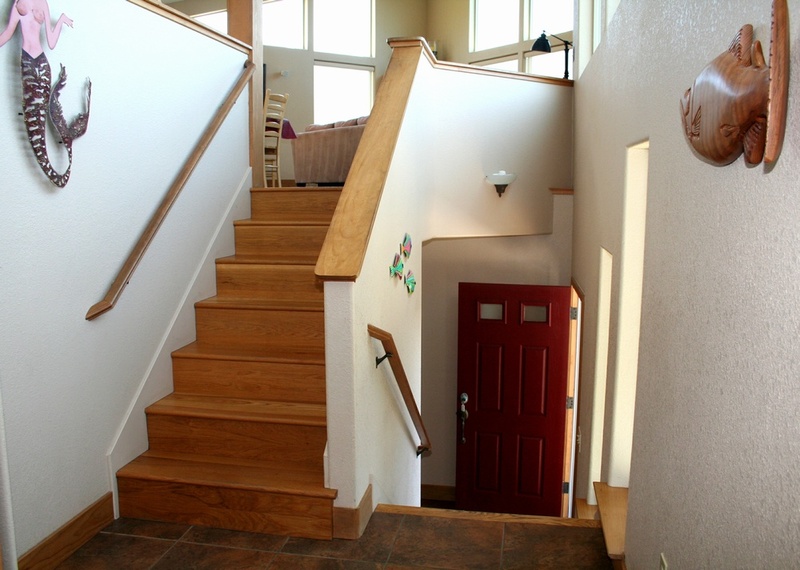 We especially liked that they had a safety gate for the stairs since we have a 10 month old and she is just starting to walk made it very easy to keep her safe.management was very helpful and easy to communicate with very fast response time to emails. We will definetly be staying there again. 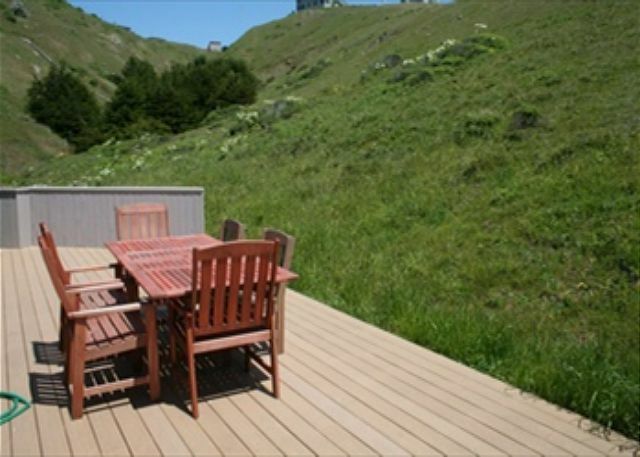 Manager response on 2016-06-21 - Response from Dillon Beach Property Management, Inc.
Fun and relaxing stay in Dillon Beach! Our stay at Selkie Seas was great! We enjoyed relaxing time on the deck while barbequing. 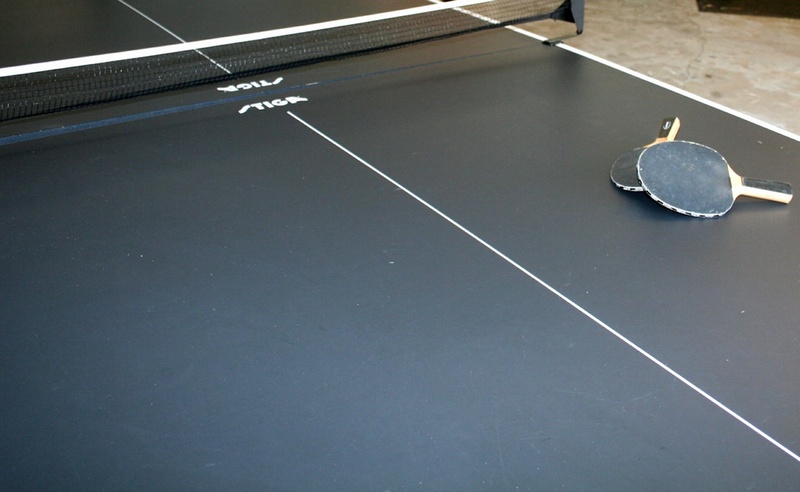 Everyone had great fun playing ping pong. We took relaxing walks around the neighborhood and there was easy access through some trails to get to the beach. The view of the ocean from the house was beautiful and we saw many deer walking through the property. We were able to meet the kind owners who stopped by to check on a few things. The only challenge we had was that that locking the front door from the outside was difficult and a bit tricking - someone may want to look into making that easier for guests. Manager response on 2016-07-30 - Response from Dillon Beach Property Management, Inc. Manager response on 2016-10-25 - Response from Dillon Beach Property Management, Inc.
Selfie seas was a great place for a family get together of 10. The living area was large and comfortable so we did not get in the way of each other. The kitchen was well stocked, but the best was the dumb-waiter to haul stuff from garage. The beds were good and enough bathrooms for all of us. Appreaciated the child gates for the stairs. 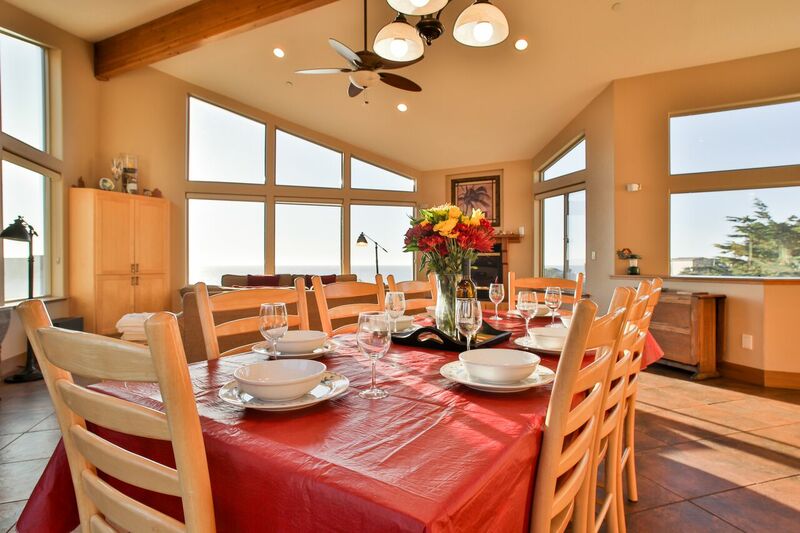 Manager response on 2017-02-20 - Response from Dillon Beach Property Management, Inc.
Great location + Beautiful home and scenery, Absoluately amazing place for vacation for family or friends. Recently stayed at this multistory upscale, well maintained home. Convenient to town, good jump off point to explore northern CA coastline. Gourmet kitchen allowed great meals each day. Loved the place. Only bad part was not a part of the house or owners but of the City doing repair work above on another lot. It rained all weekend but was wonderful just the same. The whole family enjoyed themselves at this location for Christmas! 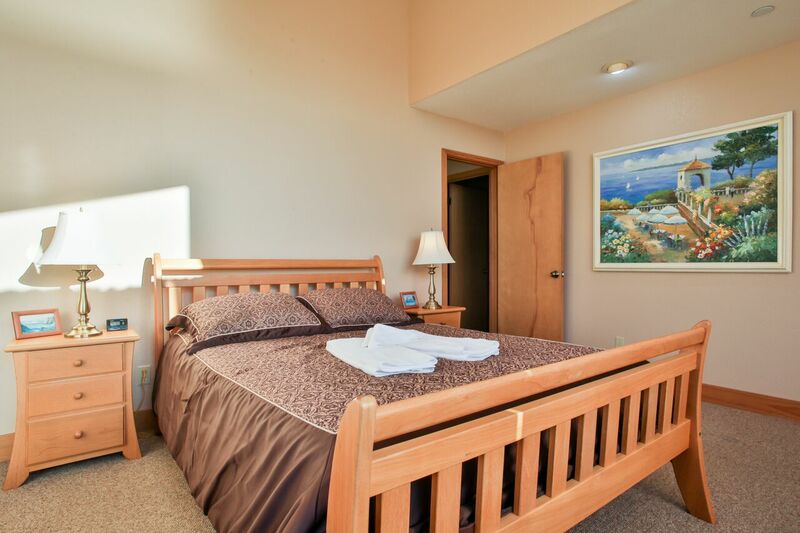 The house is great for all ages - close to the beach, walkable to "town" and has beautiful views. We'll be back! Our church rents this house every year as part of a retreat... 3 nice bedroooms and other space to fit a few extra people. Manager response on 2013-08-20 - Response from Dillon Beach Property Management, Inc. I think this house is great for a medium group. I think there have been recent updates to address complaints from earlier reviews. Had my family visiting from the midwest and wanting an awesome beach experience for them, and they were not disappointed. They loved the views, very peaceful, and the beach was just a short walk away. A very nice house. brought my dogs, as pets are welcome, and this is a very dog friendly beach. I have rented from this property management firm before, they are very easy to deal with, and their houses are really nice. Would recommend this house to others. I would stay here again. 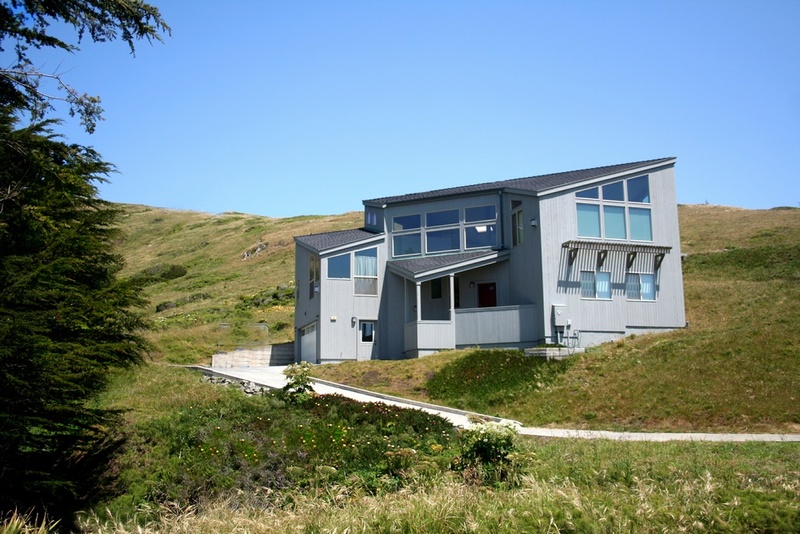 Manager response on 2014-06-30 - Response from Dillon Beach Property Management, Inc.
thank you "Selkie Seas" for making our get-away everything close to perfect. 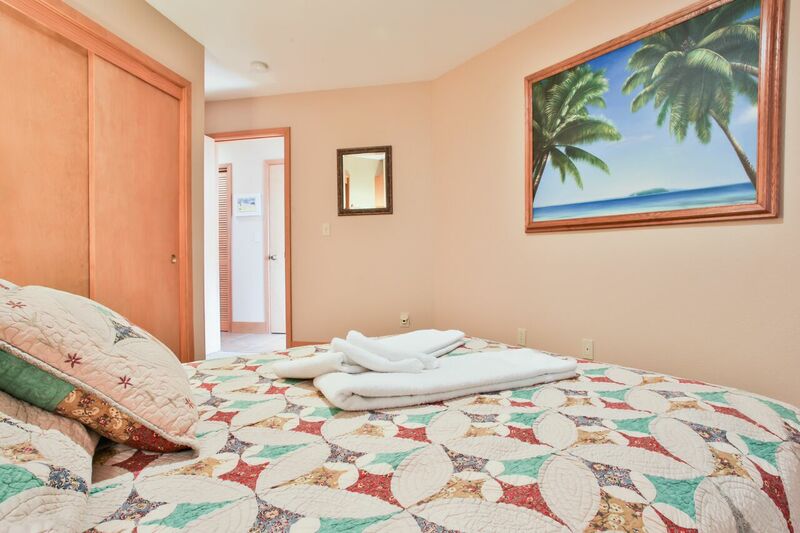 All we needed to take were our person belongs,towels,and beach chairs.this property was very clean on arrival.Our Family thanked us for making such a great home choice,as they enjoyed the trip as much as we did. 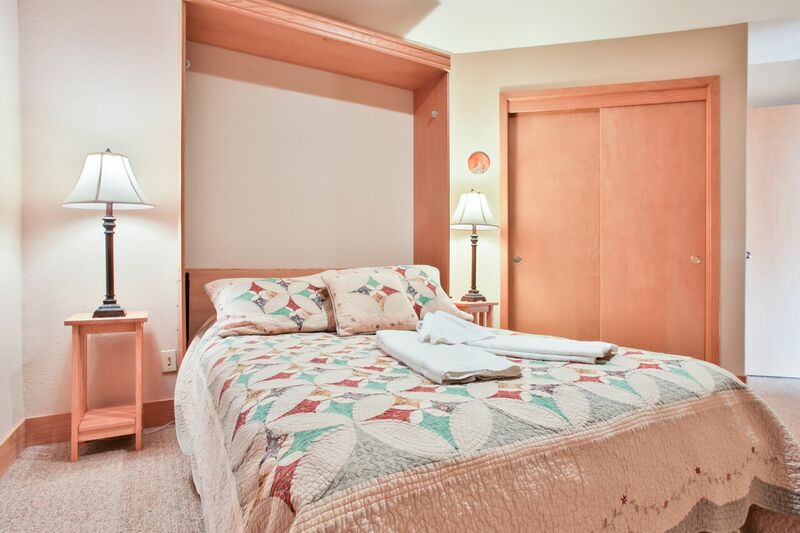 We made wonderful memories with our Grandchildren, and with your permission would like to someday revisit this property.what a wonderful experience! Manager response on 2014-07-09 - Response from Dillon Beach Property Management, Inc.